No bigger than a walnut and weighing less than a grape, each of your two adrenal glands sits like a tiny pyramid on top of a kidney (“ad” “renal” means “over” the “kidneys”). But don’t let their size fool you; these powerful little endocrine glands manufacture and secrete steroid hormones such as cortisol, estrogen and testosterone that are essential for life, health and vitality. They modulate the functioning of every tissue, organ and gland in your body to maintain homeostasis during stress and keep you alive. They also have important effects on the way you think and feel. The main purpose of your adrenals is to enable your body to deal with stress from every possible source, ranging from injury and disease to work and relationship problems. They largely determine the energy of your body’s responses to every change in your internal and external environment. Whether they signal attack, retreat or surrender, every cell responds accordingly, and you feel the results. It is through the actions of the adrenal hormones that your body is able to mobilize its resources to escape or fight off danger (stress) and survive. In a more primitive society that would mean being able to run away quickly, fight or pursue an enemy or game, endure long periods of physical challenge and deprivation, and store up physical reserves when they are available. 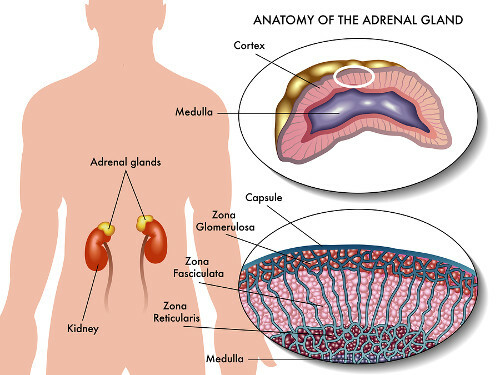 Even your propensity to develop certain kinds of diseases and your ability to respond to chronic illness is influenced significantly by the adrenal glands. 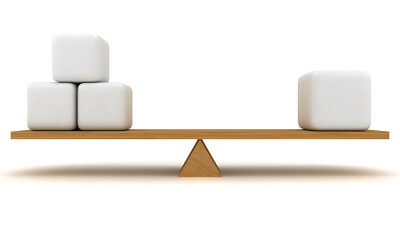 * The more chronic the illness, the more critical the adrenal response becomes. You cannot live without your adrenal hormones and, as you can see from this brief overview, how well you live depends a great deal on how well your adrenal glands function. Conversely, hypoglycemia, diabetes and metabolic syndrome are stressors that place greater demands on the adrenal glands, which can contribute to fatigued adrenals. For this reason, some level of adrenal fatigue often accompanies hypoglycemia, diabetes and metabolic syndrome.